David D Dube, has been a professional trader for over Thirty-Six (36) Years having held Senior Trader Management positions at Lehman Brothers and UBS Investment Bank. David’s knowledge and experience of Global Markets brings a unique trading perspective to Polaris Trading Group’s Members. 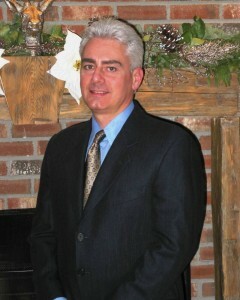 Currently living in Connecticut with his wife, he is an avid aviator, holding Commercial and Instrument Ratings. Full Disclosure: In interest of Full Transparency to all visitors my Employment and Registration History can be found at FINRA’s BrokerCheck. As the price structure of the market unfolds, we identify support and resistance zones – key price levels – where trend or counter trend trades can be executed. These price levels are one of the key components to our trading methods. Once the key levels are defined, and price reaches on the those levels, we look for confluence of indicators to trigger a trade entry. Each morning pre-market open, all trading room participants receive specific daily price levels via e-mail that starts to build a framework for support and resistance for the current day. As the day progresses, dynamic support is displayed in the room, along with some of the key PTG custom indicators. David Dube moderates throughout the day to explain price action, as it develops in real time, to review trade setups, entry triggers, stop-loss levels, and projected profit targets, immediately after they occur, and to answer specific questions.